WHITE ELECTRONICS Coinmaster series easily finds gold, silver, coins, jewelry, property stakes & more. Automatic ground balance, depth read out, target ID Icons show what and where your locate items are. Waterproof Coil, Water Resistant Control Box w 8 AA batteries give 20 hours approx. search time. 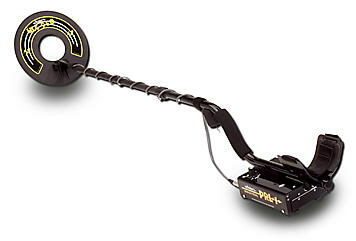 * Please call us for any questions on our metal detector white coinmaster gt rentals in Portland OR, Gresham OR, Milwaukee OR, and surrounding metro area.